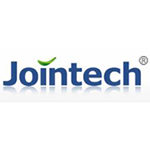 Shenzhen Joint Technology Co., Ltd was established in 2006. The company is focused on providing networking segments in mobile asset monitoring and management solutions, and is committed to become the industry's leading mobile asset management solution providers and operators. After years of development and accumulation, the company has developed a complete set of intelligent hardware. The company's main business covers three major remote asset management segments, including: online vehicle and fuel consumption monitoring and management services, for vehicle operator companies who concern fuel consumption and vehicle position; the whole process of container and cargo monitoring and management , for clients who have great concern to the cargo security and transportation; remotemonitoring and operation of network services, for the energy and power equipment manufacturing and maintaining company. The chart below shows the changes within the last 30 days in the number units of Jointech devices type are connected to Wialon Data Center.